Hydraulic cylinders are heavy and compact. 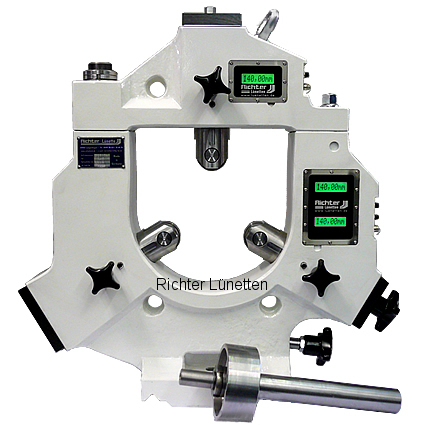 For this our customer needed a precise and fast centering work holding solution. Therefore we have equipped the type 3 swivelling top steady rest with our digital calliper system.